Let's just get this out of the way: I'm a huge, huge Ninja Turtles fan. Much like most people my age, I grew up with the cartoon every Saturday morning. And like most people my age, I have very strong opinions about pop culture from my childhood. We're reaching almost catastrophic levels of nostalgia for the 90s and it's not surprising that the Ninja Turtles have gotten the "reboot." Although I use that term loosely. Because what most people my age have to know is that the Ninja Turtles never really went away. They just evolved with each new generation - apparently the new cartoon that started last year is totally great and the series from the 2000s was pretty good too. So this movie is mainly for a newer generation of Turtles fans. Sure, there's plenty of fan service to us oldies, but mainly this movie is for the kids. And for the most part, this kids movie is fun and frenetic like a Ninja Turtles movie should be, albeit with several flaws. It gets the Michael Bay treatment - big, loud set pieces and explosions with lots of lens flare; good god there's a lot of lens flare! - but it's far better than anything Michael Bay has directed with the Transformers sequels. The movie is an origin story and it starts out painfully slow - there's a voice over and animation sequence telling us how the turtles came to be who they are - but really, this could have been shown or told throughout the whole film. Instead we're treated to this awful narration and the turtles don't even show up until about 20 minutes into the movie. If there's one huge complaint it's that this movie didn't spend nearly enough time showcasing and indulging us with enough turtles! The movie's big focus is April O'Neal - the intrepid and ambitious reporter who's looking to get that big break. And while it's nice that the movie wanted to focus on April, it would have been a lot better had the movie just focused on the turtle characters and had them coming together as a team. April has her cameraman sidekick - played by Will Arnett - to chum around with but their relationship is really not worthy of screen time. He has a creepy crush on her because he looks so old next to her and really he doesn't have much to do in the movie except provide transportation. But I digress - for what little we do get from seeing the turtles, it's pretty fantastic. There's the usual hijinks and immature ninja-wielding fun that they indulge in and it's great. I thought William Fichtner was going to be great playing the villain - but his character is so dull and boring in this movie about Ninja Turtles that it's hard to muster any sort of emotion. 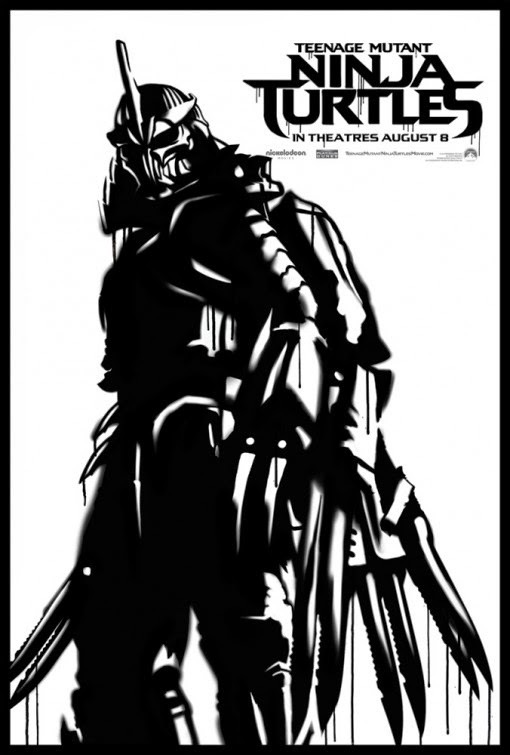 And Shredder was a complete badass but has absolutely no depth - he's just an evil samurai dude in a metal suit. It's unfortunate that the movie is this shallow, but I guess I shouldn't have expected too much. This movie should have cut the beginning 20 minutes and spent a good 30 minutes developing the characters more. More of Leo and Raphael fighting and Donatello being a nerdy brainiac. More Michelangelo being silly. More Shredder background. This could have been a better movie. With that being said, it's still better than I expected. I really thought I would hate, hate this movie from what I saw in the tonally-dark trailers. But it's light hearted and it really is more like an extended episode of the show. It's just too bad they couldn't find a better focus for the movie besides April and her sidekick. Wow. Just wow. Totally blew up my expectations. I think as time went by this year, Guardians became increasingly more exciting to me, especially after a couple of somewhat disappointing movies in my top 5 (Noah, X-Men). And after all the amazing reviews and good word-of-mouth, Guardians is most definitely the movie to see this summer. It took us 3 months to get to an event-level movie, but no doubt Guardians lives up to and exceeds all the hype. James Gunn and Nicole Perlman have crafted a fun, weird and funny sci-fi action flick. Plus all the Guardians are written so well (yes even Groot, who can only say the phrase "I Am Groot!") and they have a nice progression and arc during the movie. Peter Quill (the about-to-be-a-household-name Chris Pratt), a lone bounty hunter/scavenger who got abducted by aliens when he was a boy, finds an orb of significant value and power, although he doesn't know it at the time - he's just looking to unload it for money. Along the way back to cashing the orb in, Gamora (sci-fi vet Zoe Saldana) is sent to get the orb from him by the villain Ronan and also Rocket (the racoon) and his partner Groot (the tree) find Quill to be a good bounty, so they decide to try and capture him. Well, they all cause a ruckus and are soon sent to space prison where they meet the fifth member, Drax, a maniacal warrior with revenge on his mind (Ronan killed his family). They band together and finally figure out they need to stop Ronan. Hijinks ensue. The movie starts off great - we see Peter as a boy getting abducted right after seeing his mom pass away from what I'm guessing is cancer. She made him a cassette mixtape with some awesome tunes and cut to the present day where we see Quill dancing around some ancient ruins to Redbone's Come and Get Your Love and it is perfect. Plus it sets the tone for the rest of the movie - you know you're in for a fun time and Quill is not your typical type of hero. Although he's selfish and a ladies' man, deep down he's still wounded from his mother dying and getting abducted. Gamora is the "daughter" of the Thanos - the intimidating villain behind the evil Ronan - but really he killed her family and took her in and trained her to be the galaxy's deadliest assassin. Needless to say, she has daddy issues. Drax is out for revenge like I said earlier and Groot has his moments as the sidekick to Rocket - who is the heart and soul of this movie. Voiced by Bradley Cooper, who's nearly unrecognizable, deserves many kudos for really getting into character. He is a genetically-modified Racoon who's been tortured and experimented on too many times and he sees life as nothing but unfair and awful. And he steals every scene he's in. Rocket's humor and disregard for others is what makes this movie tick. Not only is there an awful lot of action, but the jokes and humor are extremely funny and entertaining. From Drax's quirk of not really understanding metaphors ("It's not over my head, because I'm too quick, I would catch it) to Rocket's pranks - the prosthetic leg bit was hilarious. I could go on and on - but I don't want to spoil the fun. 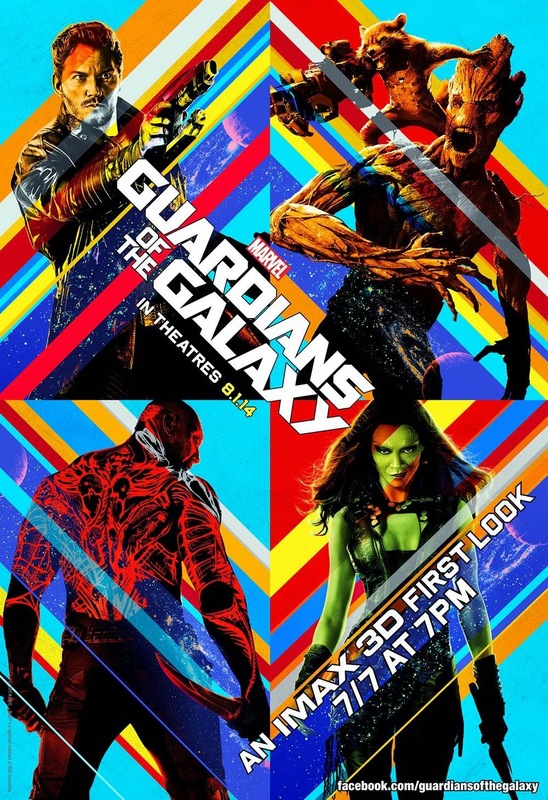 The movie has a great climax and I can't wait to see what the Guardians will get up to next! This was by far my favorite movie this summer and possibly the year so far. It's just fun, sharply written and all the characters are brilliantly portrayed. The action is amazing and it's just a blast. Plus the music in this movie is fantastic - I love the funky, R&B mix that Peter Quill holds dear to his heart! This is a definitive must-see movie! Rating: A Funky Good Time!